Together there's more we can do. Join us. 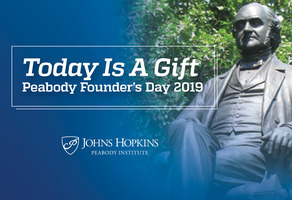 The mission of Johns Hopkins University is to educate its students and cultivate their capacity for lifelong learning, to foster independent and original research, and to bring the benefits of discovery to the world. Make your gift today and help our JHU Baseball team compete in Prague! Support Hopkins Club Sports Today! 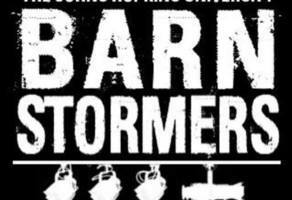 Make your gift and help us carry on the traditions of JHU Barnstormers for the next 100 years! 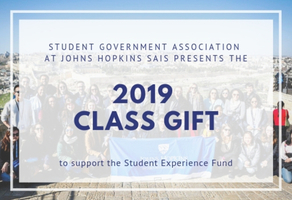 Support the Class of 2019 Gift & help provide more equal access to travel opportunities for students. 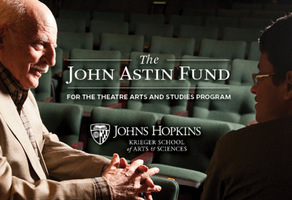 Make your gift to The John Astin Fund and help honor John's legacy! 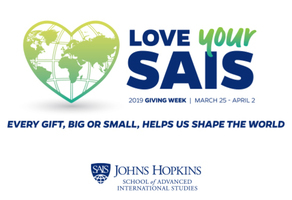 #LOVEyourSAIS and celebrate #JohnsHopkinsSAISat75. ALL gifts will be matched up to $25k. Show your love and make a gift to shape the world! 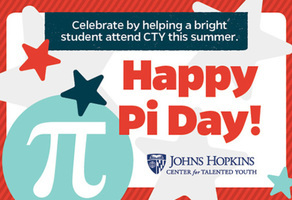 ​March 14th, Pi Day, is the day we come together as a community to celebrate academic prowess, curiosity, and friendship at CTY! Join us & make your 10th year reunion gift to the Anne Smedinghoff Memorial Scholarship today! Help unlock $10K today! Calling all Class of 2014! 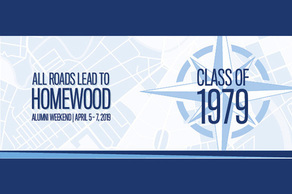 Make your 5th year reunion class gift and help us meet or even surpass our donor goal! Let's do this! It's here! Our 40th JHU Reunion! Make your reunion gift today and help us reach our goal of 120 donors! Make your Class of 1989 Reunion Gift today and help us reach our goal of 180 donors for our milestone reunion! Our 20th JHU Reunion is here! Let's make the best of it by giving back! Make your gift today and help us reach our goal of 115 donors! It has been 15 years since we graduated from Johns Hopkins University and our Reunion Weekend (April 5-7​) is around the corner. 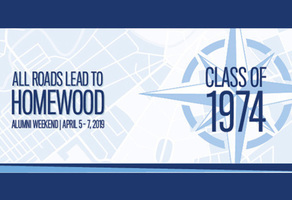 No better class than the Class of 1974! Let's celebrate our milestone reunion year by reaching our donor goal of 140 donors! Make your gift! 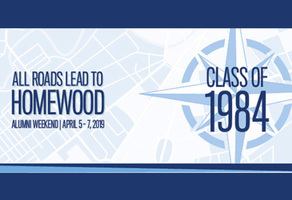 A Blue Jay 35 years ago, a Blue Jay for life! Celebrate this milestone reunion by making your reunion gift today! 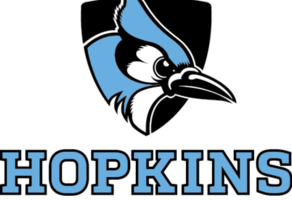 Make an impact at Johns Hopkins! Connect with other Blue Jays on GiveCampus!